We have never held that an individual's religious beliefs excuse him from compliance with an otherwise valid law. We've been examining this issue for the last 2 posts. We discussed how the law of religious liberty has changed. How religious liberty has been demoted by the Supreme Court. How free exercise of religion--i.e., the freedom to practice one's religion, to abide by one's religious convictions--was historically recognized as a fundamental right in this country. How it was strongly protected as such (along with free speech, free press, right to counsel in a criminal case, right to equal racial treatment, etc.) by the Court. How government was not allowed to interfere with that right unless it had a very important reason for doing so, and had no other way to accomplish its purpose. In other words, unless the government really needed to and had no alternative. That was basic constitutional law. Basic Supreme Court jurisprudence to protect rights considered essential to a free people. Rights that had always included religious liberty. 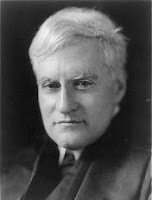 Along with other fundamental rights, free exercise of religion was considered "implicit in the concept of ordered liberty"--to use Justice Benjamin Cardozo's immortal phrase from his 1937 opinion for the Court in Palko v. Connecticut. Yes, one of those truly indispensable rights about which it could be said--in Cardozo's words again--"neither liberty nor justice would exist if they were sacrificed." Yes, that is the right included in the very first clause of the very first amendment of the national charter. That's a pretty good indication of where religious freedom fits in the constitutional hierarchy. And the Supreme Court treated religious liberty accordingly--at least for a while. But then an increasingly conservative, law and order Court decided that minority religions didn't need to be accommodated. That minority religions had to tolerate government's beliefs and practices--not vice versa. That minority religions could not interfere with decisions of the majority or with other government authority--not vice versa. That minority religions had to make exceptions to their beliefs and practices in order to obey government; government no longer had to make exceptions to its laws or rules in order to obey the Constitution's guarantee of religious freedom. Henceforth, laws and other government rules trumped the constitutional right--not vice versa. Yes, topsy-turvy. Easier. Clearer. Tidier. More convenient. But constitutionally upside down. Let's finish this series of posts with a look at some of the religious liberty landmarks of the Supreme Court. Specifically, let's take a look at what the Court said about free exercise of religion and about the necessary restrictions that free exercise placed on government--and NOT vice versa. There is, perhaps, no decision more seminal to freedom of religion than the Court's 1943 ruling in West Virginia v. Barnette. And there is, perhaps, no language more magnificent or oft-quoted among the Court's landmarks than that penned by Justice Robert Jackson in his opinion for the majority. In Barnette, the Court invalidated the state's mandatory flag salute in public schools insofar as it applied to the religiously objecting Jehovah Witnesses. An exemption was required to protect their religious freedom, because of their religious belief that the 1st Commandment permits allegiance only to God. Although the state had a legitimate purpose to promote patriotism, the Court held that fundamental liberties like freedom of worship could "not be infringed on such slender grounds." As Justice Jackson put it: such liberties "are susceptible of restriction only to prevent grave and immediate danger to interests which the state may lawfully protect." Twenty years later, in Sherbert v. Verner, the Supreme Court confronted an issue involving the denial of unemployment benefits to a Seventh Day Adventist who, in accord with her religion, refused to work on the Saturday Sabbath. The Court held that the state violated the 1st Amendment by requiring a choice between religious beliefs and receiving benefits. 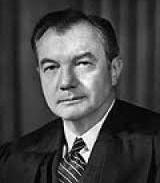 As in Barnette, the Court, speaking through Justice William Brennan, recognized religious liberty as one of those "indispensable democratic freedoms." Accordingly, Brennan explained, "only the gravest abuses, endangering [a] paramount interest" could justify a burden, even an incidental one, on free exercise of religion. Nine years after Sherbert, the Court again reaffirmed the Constitution's guarantee of religious liberty, applying the strictest of scrutiny to any governmental interference with free exercise. In its 1972 decision in Wisconsin v. Yoder, the Court held that the state had to exempt the Amish from its compulsory education law. The Amish had objected on religious grounds to exposing their children to worldly influences other than basic read, writing and arithmetic in elementary school. 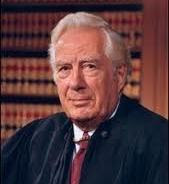 Speaking through Chief Justice Warren Burger, the Court acknowledged government's very important interest in the education of children. But, what was decisive was the state's failure to show that it could not or should not accommodate the Amish with an exemption. The essence of all that has been said and written on the subject is that only those interests of the highest order and those not otherwise served can overbalance legitimate claims to the free exercise of religion. Nor can this case be disposed of on the grounds that Wisconsin's requirement...applies uniformly to all citizens of the State and does not, on its face, discriminate against religions or a particular religion...A regulation neutral on its face may, in its application, nonetheless offend...the free exercise of religion. Eighteen years later, in 1990, came Oregon v. Smith. This time, instead of the Amish, it was the Native American Church. 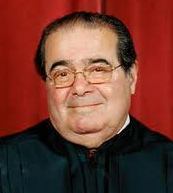 Instead of Chief Justice Burger, it was Justice Scalia. Instead of a compulsory education law, it was a drug prohibition. Instead of a belief in avoiding worldly influences, it was a long-standing (and indisputedly genuine) sacramental ritual using peyote. And instead of respecting religious liberty's essential role in a free society, the Court denigrated it to second-class status. In fact, to a status below legislation. Yes, constitutional, 1st Amendment, free exercise of religion subordinated to routinely enacted laws. So, as Scalia further explained, a law that prevented the free exercise of religion was still perfectly constitutional, and no religious exemption was required, as long as the law was neutral on it face and did not intentionally target a particular faith. And again, according to him, the Court had never held differently. And so did Michael McConnell--former U.S. Court of Appeals, 10th Circuit Judge; current Stanford professor; and the nation's foremost religion and the law scholar. As McConnell put it: Scalia's "purported ...use of precedent is troubling, bordering on the shocking." Indeed, as support for this rather shocking proposition that an "otherwise valid law" supersedes freedom of religion, Scalia quoted from a decision of the Court which the Court itself had quickly overruled. Conscientious scruples have not, in the course of the long struggle for religious toleration, relieved the individual from obedience to a general law...The mere possession of religious convictions which contradict the relevant concerns of a political society does not relieve the citizen from the discharge of political responsibilities. As anyone with even the slightest familiarity with Constitutional Law knows (and that includes Scalia), the Court overruled Minersville in its landmark decision in West Virginia v. Barnette. As we've already discussed, the Court majority in that case, speaking through Justice Jackson, gave effect to the fundamental right of free exercise of religion. Under the 1st Amendment, religious liberty could be denied "only to prevent grave and immediate danger." And the Supreme Court had ever since repeated the same. As it did in its decision in Sherbert with the Saturday Sabbatarians and in its decision in Yoder with the Amish. But the Court's majority in Smith, speaking through Scalia, disregarded those precedents and literally stripped religious liberty of protection from any "otherwise valid law." Stated otherwise, in the aftermath of Scalia and the Smith decision, the 1st Amendment guarantees freedom of religion only against laws that are otherwise invalid. Of course, that is no protection at all! Those laws are already invalid for some other reason. Anyone believing in freedom of religion, anyone who takes it seriously, should hope the Court overrules Smith and returns to Barnette, Sherbert, and Yoder. Congress attempted to do just that. In an attempt to overrule Smith, it passed, and the president signed, the Religious Freedom Restoration Act of 1993 [RFRA]. That law prohibited interference with religious liberty unless government had a compelling purpose, and that purpose couldn't be accomplished in some other way. In other words, the law was an attempt to restore Barnette, Sherbert, and Yoder. Unfortunately, the Court majority showed that it really meant what it said in Smith. In City of Boerne v. Flores (1997), the Court held that RFRA protected religious liberty more than the 1st Amendment, and that Congress had no authority to impose such protection for religious liberty upon the states. Consequently, the city government in that case was free to enforce a local zoning law against a Catholic parish, without any concern whatsoever for the church's religious objections. Subsequently, the high courts of several states, among them California and New York, unencumbered by any meaningful federal constitutional protection for free exercise of religion, approved state health insurance requirements on religious organizations, despite their religious objections. Yes, contraceptive coverage. In both Catholic Charities of Sacramento v. Superior Court (2004) and Catholic Charities of Albany v. Serio (2006), the California Supreme Court and the New York Court of Appeals, respectively, dismissed the religious liberty claims. They did so without any concern about compelling government interests or alternative ways to accomplish them. No. With Smith as the federal constitutional standard and, thus, virtually no 1st Amendment restrictions on interfering with religious liberty, the state courts could and did dismiss the religious objections with near-impunity. And other states--and the federal government--had every reason to believe that they could do so as well. OK, so in these cases, as in the recent political controversy, what was involved was contraceptive coverage. And religious beliefs forbidding contraceptive use may seem absurd to many. Contraceptive coverage may be overwhelmingly popular. But such seeming absurdity and such popularity is hardly relevant to any serious treatment of religious liberty. It was not relevant at all until Smith. But that decision treated religious liberty with disdain, not seriously. The Supreme Court used to treat free exercise seriously. And it did so because it understood fundamental rights. And because it understood its role as the guardian of those rights. Even when not popular. Even when inconvenient. Even when the majority or other government authority would prefer to disregard those rights.